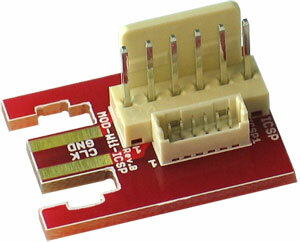 The MOD-WII-UEXT can be used with a MOD-WII you purchased with ICSP connector to switch to UEXT connector. 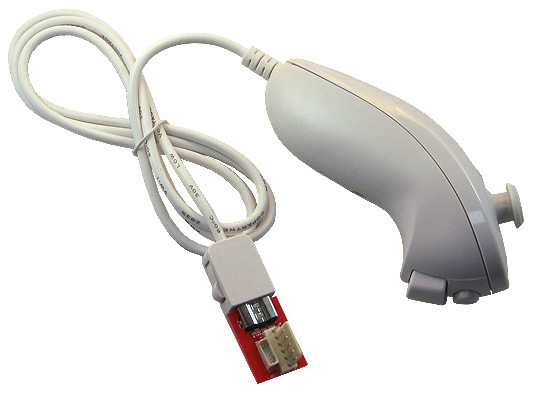 The WII NUNCHUCK is a controller for the Wii game console. It has a 3-axis accelerometer, a X-Y Joystick and two buttons. 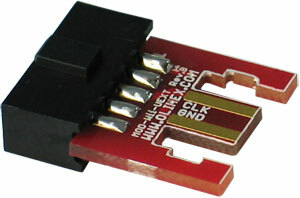 All these features are available through I2C communication, which makes it perfect for connecting through UEXT connector. As these controllers are mass produced for the game industry, they are at an incredibly low cost for the features they offer.